All you need to know about India’s road to a 4-1 series win against NZ. 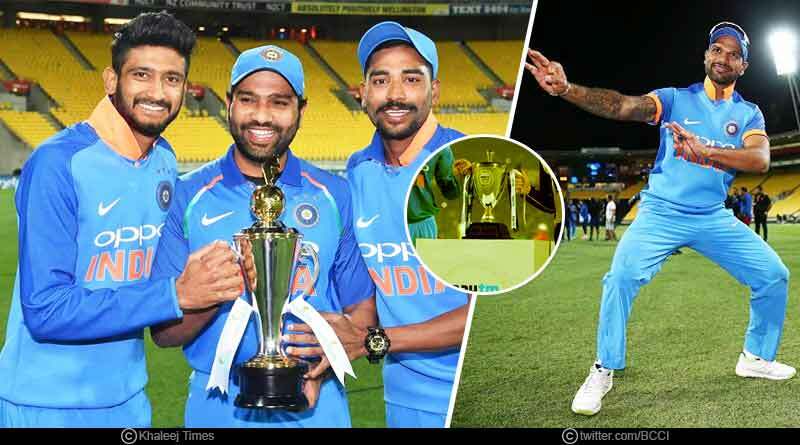 Outbatting, outbowling and outfielding New Zealand out of the series, India marauded their way to a 4-1 series triumph in the recently culminated ODI series against New Zealand. 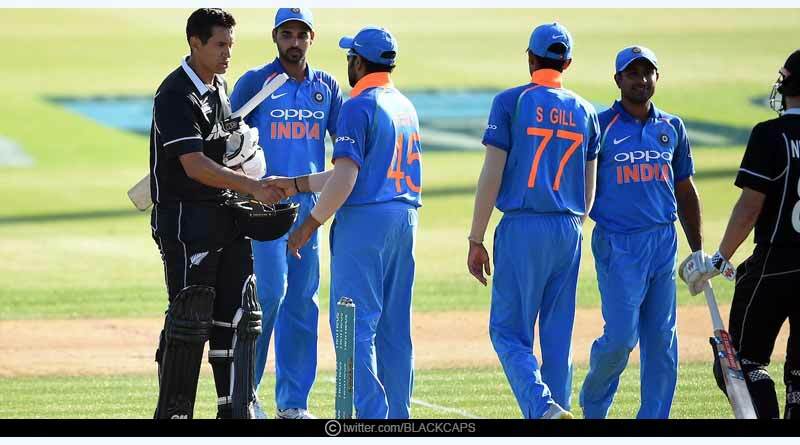 It is a series win that will live long in the hearts of Indian supporters; especially given the brilliant way the side went about unravelling New Zealand in their own home to storm a castle previously elusive to them. India was ever so flawless and complete in the first three ODIs before a slight slump in the fourth ODI saw them be decimated. However, the way they recovered in the fifth ODI from a significant catapulting was heartening to see, showing incredibly strong fighting spirit to script a hard fought win. It was a well-rounded performance from the Indian side, one that saw them continue to build on the momentum they have acquired recently that has put them in good stead ahead of the all-important showpiece ICC ODI Cricket World Cup. 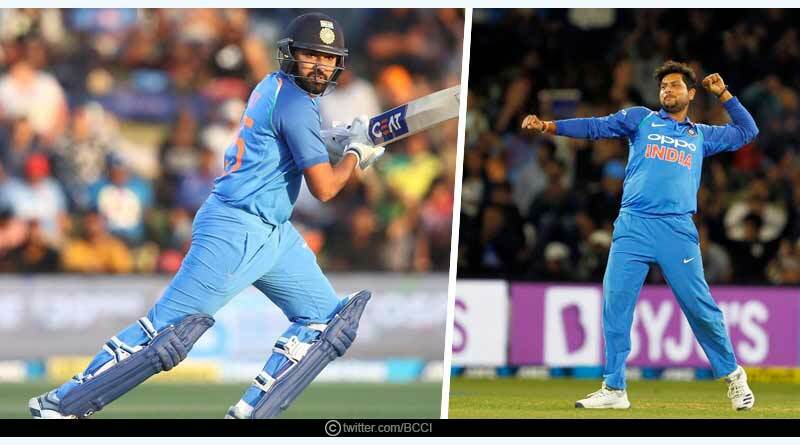 Taking on New Zealand in Napier in the all-important series opener, India knew an emphatic performance would serve them well going into the series. And that is precisely what they delivered, incurring a massive collapse in a strong New Zealand batting line-up, one that was begun by Mohammed Shami before the spinners took over to dismiss New Zealand for a meagre 157. 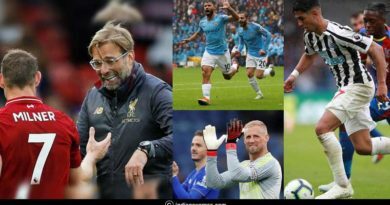 The match also saw a rare incident of play being halted due to the harsh sunlight prevalent at the stadium, owing to its placement which took an over of play, one that hardly perturbed India though. They comfortably went onto win by 8 wickets by Shami winning the man of the match for his 3-19. Continuing from where they had left off in the first ODI, India continued their supremacy at Napier, batting first this time to put on the only 300 run total this series. 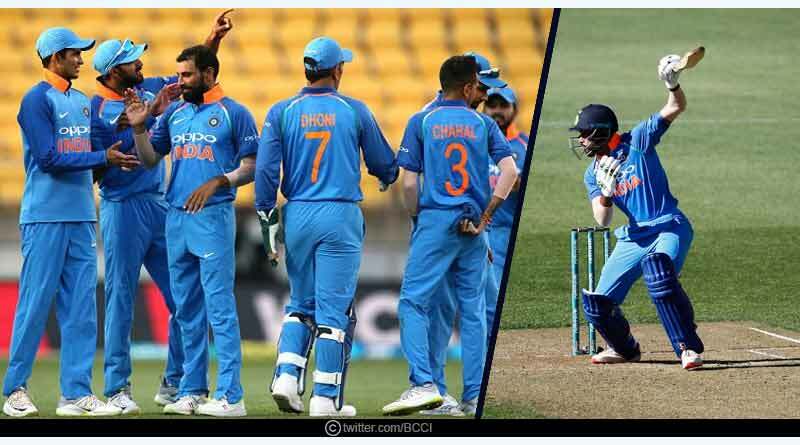 This was the most composed performance by India in the series, one that saw them display their batting might with the entire batting order stepping up to contribute to the 324 runs they got on the scoreboard before the bowlers struck in double quick time to round off an excellent job by the batsmen. New Zealand’s dismal performance saw them slump from 100-2 to 234 all out, handing over wickets to the spinners for the second match in a row. Looking to seal the series, India was yet again at their effervescent best, not allowing even a bit of complacency to seep into the side with the bowlers yet again destroying New Zealand. 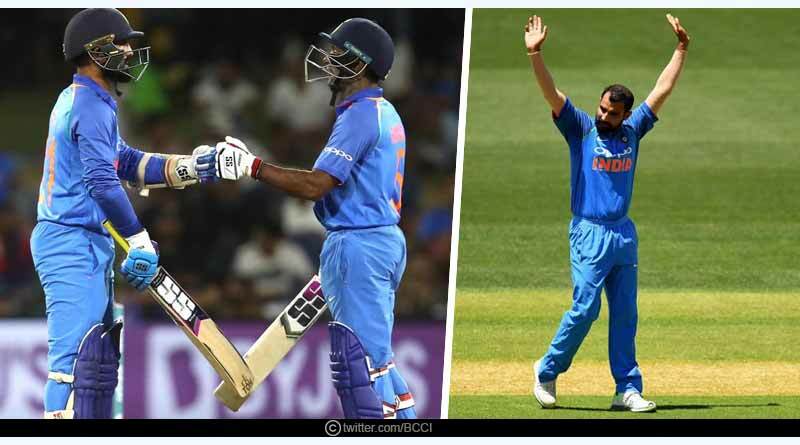 It was a match in which Shami delivered another exquisite and meticulous performance, wrapping up the hosts’ top and middle-order to put India in complete control at a Bay Oval stadium conducive for batting. His man of the match performance of 3-41 was not let go waste by Virat Kohli who in his last match in the country, played a magnificent 60 run knock, stitching on a match-winning partnership with Rohit to ensure that India faced no hurdles on their way to a series win, their first in 10 years in the country. Bowling first on a brand new pitch, one that had a good covering of grass and with the windy conditions in play, offered more than its fair share of purchase to the fast bowlers, Boult was a sight to behold. 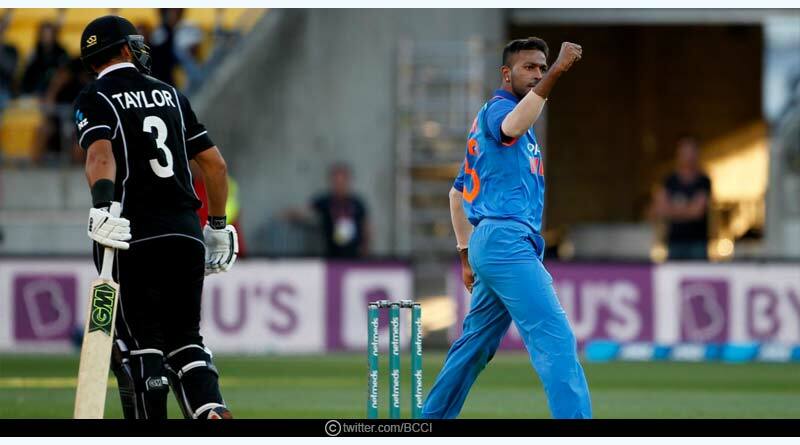 Pushing the envelope of was performance, the ever-reliable new-ball bowler for the hosts’ was asked to take the onus of delivering New Zealand their first win in the series and he stepped up in style, sending down 10 overs in a row to bludgeon India. He made light work of India’s batting order, picking up wickets at will to down India for just 92. It was a pure spell of true fast bowling with him inducing bounce, swing and pace to pick up 5-21. Showing incredible resolve, India after suffering another slump with the top order walking back to put the side in a tenacious position of 18-4, the lower middle-order which had yet to prove its worth in a high-pressure situation finally stepped up to take the country to a healthy and competitive total of 252. It was a defiant fight back from the country, showing that they possess in their side resolve and the grit to come out of tepid situations, putting on a vigil before the bowlers took over. New Zealand was lacklustre yet again, with their game plan to approach the total coming under heat yet again, as they decided to throw their bat at everything which resulted in a harsh performance, seeing them being dismissed for 217.